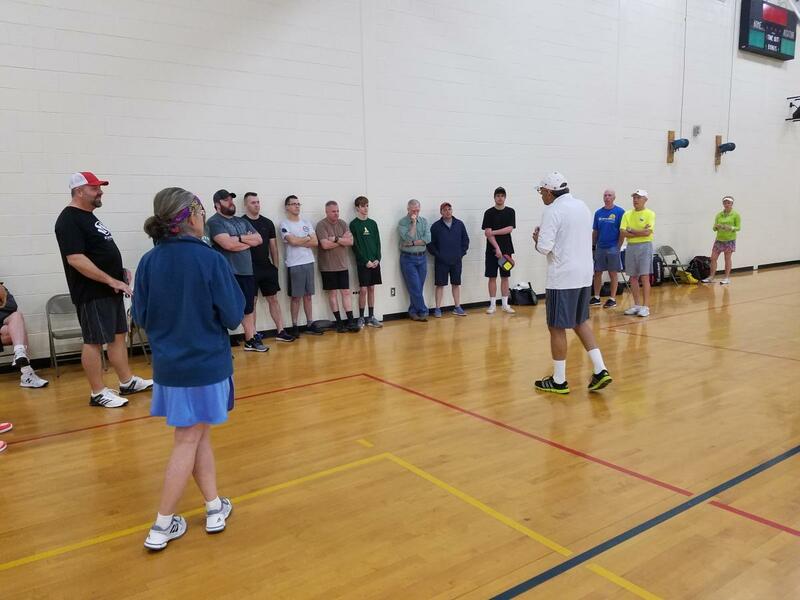 On Saturday, March 30th, a group of Aiken Department of Public Safety recruit officers attended a clinic that was arranged by Mo Garcia (district ambassador) and Karl Odenthal (ADPS). 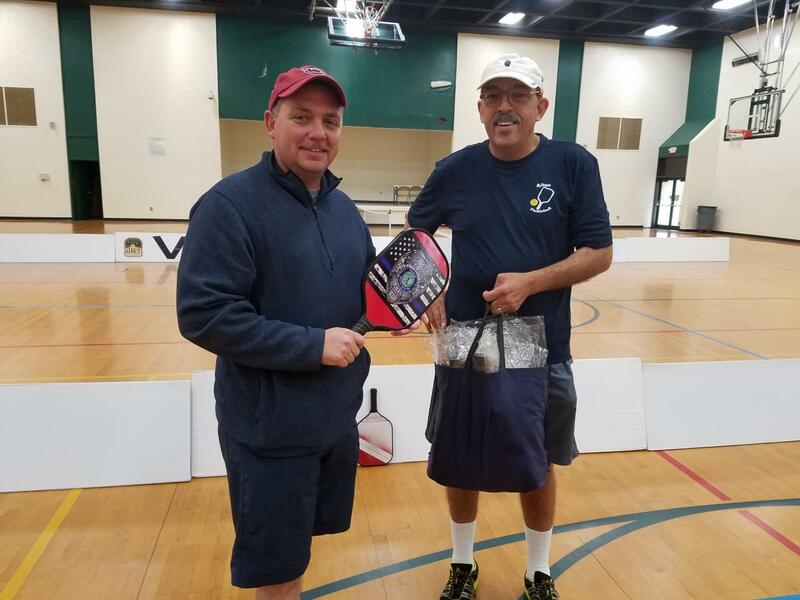 To kick off the event, some of our top local players (Josh Booth, Jim Hughes, Wojcieck Adamek, and Mo Garcia) played an exhibition game. 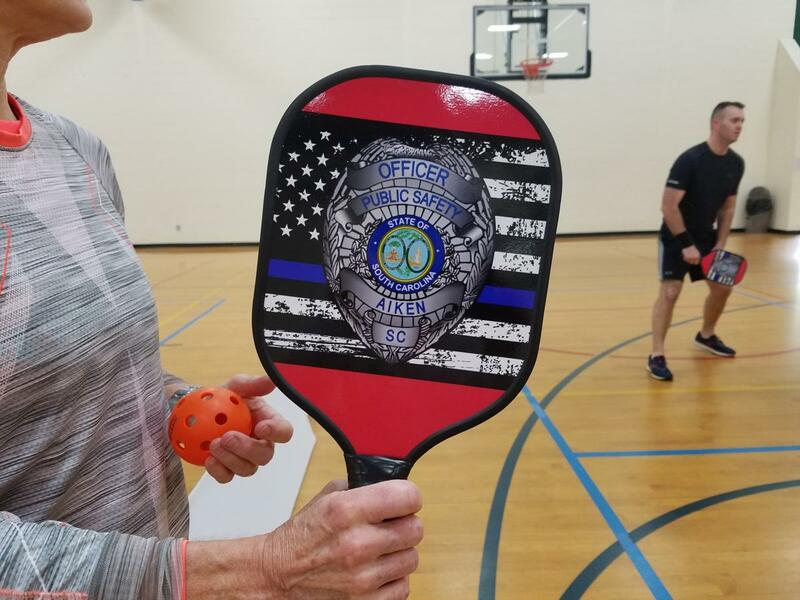 This was followed by the presentation of paddles to the ADPS recruits. 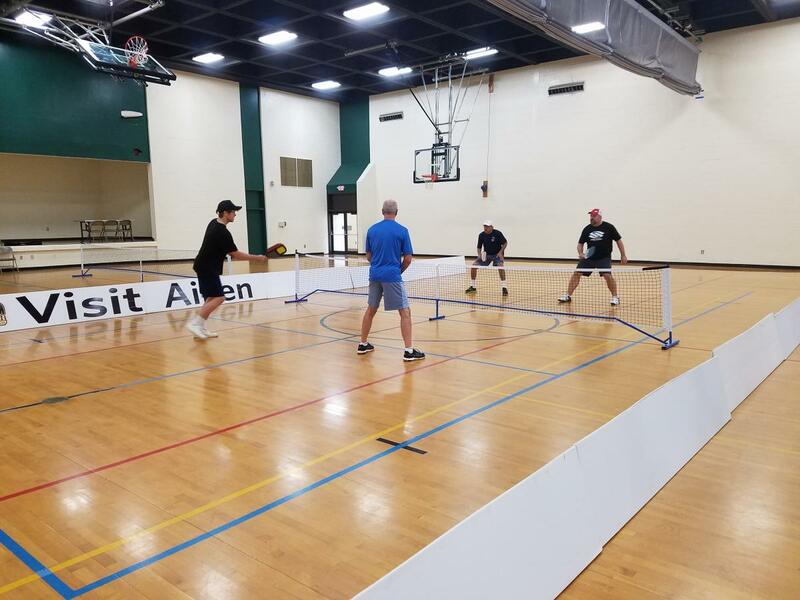 The recruits were given a demonstration of how to set up a net, then were joined on the court by various Aiken players for some lively games of pickleball. Thanks to all involved for putting on this clinic, and to our local players for coming out to give their support. Some picutres are included below. To see more, click here.